Size: 981 sq.ft. - 1449 sq.ft. Walkeshwar location of Mumbai is getting updated with new friendly construction project presented by Lodha Group named as "Codename Seaview". It is a new residential home surrounded by required & unmatched facility that suits every type of Customer.The Seaview is designed with the aims to offer a good lifestyle and great comfort to the home seekers. Codename Seaview is built on 20000 Square Feet, surrounded by plush green lawns and offers the aesthetic 360 degree view of Arabian Sea. The Seaviewresidence is beautifully shaped out with broad and large rooms that give an optimal existence experience to the homeowners.This fully air conditioned homes price starts at 10.8 CR and above. 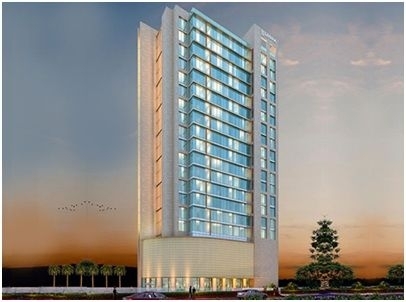 Lodha Codename is a standalone building project consists of 16 floors to live in and more than 60 housing units with the carpet area of 981 Sq.ft to 3720 Sq.ft. This housing project offers luxurious modern days homes which give options to choose from 2 BHK, 3 BHK as well as 4 BHK fully Air-Conditioned apartments. Each floors of Seaview building accommodating 4 residences only.The interiors of the apartment have been designed using polished glazed vitrified tiles with the finish of natural Italian marble in the Bedroom, Living Room, Kitchen & the bathroom is designed using chromium plated fittings. Lodha is Mumbai based real-estate company was founded in 1980. Lodha Group is well-known for its residential and commercial properties. The group is majorly operational in Mumbai and also have presence in London, Pune & Hyderabad. Since its inception the group has worked with several architects, designers and consultants. The company is one of the most profitable players in India and the largest by sales for three consecutive years. They are famous for their smart city project PALAVA in Dombivli which is sprawled over 4K acres land. An estimated 43 million sqft of prime real estate is being developed by the LodhaGroup with the largest land reserves in MMR and has more than 28 ongoingresidential and commercial projects. Walkeshwar location is famous for Jain Temple, WalkeshwarTesmple and Banganga Tank. It lies at South Mumbai address. Seaview at Walkeshwar is easily accessible to Malabar Hill, Kamala Neharu Park, Hanging Garden. Codename seaview enjoys the benefits of great location with great connectivity to schools, shopping malls, hospital, temples and grocery store. It is also well connected to business centres, IT parks, entertainment zones and much.At Seaview, there are two kinds of views that we could get to see that is “Arabian Seaview" and "Queen's Necklace view". There are numbers of "Gulmohur Trees" that makes it a better floral site in the season.It is located besides some of the most expensive neighborhoods. The project advantages and unique specifications give perfect competition to other high class project and can also be compared to Residential project in the US. Lodha Codename Seaview is located near Teen Batti before Raj Bhavan gate at Walkeshwar Road, Mumbai, Maharashtra, India. Lodha Codename Seaview offers the special amenitieslike 360 degree Sea view,Gulmohar flowers in the surrounding of the project, 100% power back up, world class security, a yoga deck, Jogging track, amphitheatre, swimming pool, play area, Temples,club house, gymnasium, BBQ Area,lush green gardens and many others. Schools -Kavale Math Municipal School, DSB International School, Vimal Sty School, D.Y PatilPranjali School. Parks -Aditya Birla Vatika, Priyadarshini Park, Apartment Park, Hanging Garden, Amarsons Garden, Chakravarthi Garden. Shopping Centres - Orchid City Centre, Oberoi Shopping Centre, SOBO Central. Bank/ATm(s) - Union Bank of India, State Bank of India, Dena Bank, Bank of India. Hospitals - Ruxmani Hospital, Hospital for Women Care, Dalvi Hospital, DESAS Hospital. Restaurants -Saraswati Hindu Hotel, Rahul's Food Court, The Sun restaurant, Dakshinayan Restaurant. Movie Theatres - Imperial Cinema, Naaz Cinema, Royal Opera House Cinema. Airports -Santacruz Domestic Airport, Chhatrapati Shivaji International Airport. Railway Stations - Charni Road Railway Station, Churgate Railway Station, Grant Road Railway Station. 981 sq.ft. - 1449 sq.ft.